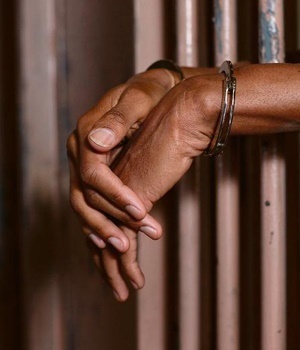 Two of the three suspected killers of the Jumia delivery agent, Chukwuma Eleje, were on Monday remanded in custody by a Chief Magistrate’s Court in Port Harcourt, Rivers State. Two of the three suspected killers of the Jumia delivery agent, Chukwuma Eleje, will definitely be celebrating Easter behind bars. They were on Monday remanded in custody by a Chief Magistrate’s Court in Port Harcourt, Rivers State. Eleje, who had gone to deliver some phones to the assailants, was allegedly killed on March 25, 2017 by the suspects identified as Sodienye Mbatumukeke and Excel Naabe, who also threw his body into a septic tank. The suspects were arraigned on three counts before Chief Magistrate Amadi Amadi-Nna, according to charge no. PMC/697C/2017. The accused were arraigned by a prosceutor, Inspector Jonas Rufus, even as they (suspects) were without any defence counsel. The third accused, Joy Eluwa, was not part of Monday’s arraignment in Port Harcourt. However, when the case was mentioned in court, the presiding magistrate, Amadi-Nna, stated that the court lacked jurisdiction to entertain the matter as a result of the gravity of the offence. Amadi-Nna adjourned the matter indefinitely, adding that the suspects could seek bail at the state High Court.